Dear Students, SSC has issued a short notice regarding the confirmation of notification date and Exam date. SSC CGL is going to recruit fresher candidates in India for Assistant Section Officer, Assistant , , Assistant Audit Officer Posts The notification will be released on 16th May, 2017. And the SSC CGL Tier-1 exam will be conducted on 1st august to 20 August 2017. This Exam is conducted every year. In 2017, this exam is scheduled from 1st to 20th August and you still have enough time to prepare for this exam .After passing this exam, you will be selected for Non-Gazetted Jobs in Central Government Departments and Ministries. We will share each and everything, related to SSC CGL Exam. 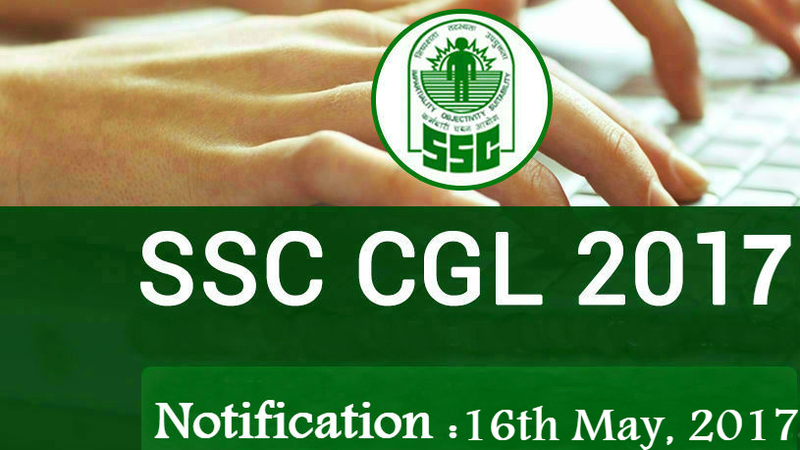 We will share the Exam Dates, Posts in CGL Exam, Expected Vacancies, Syllabus, Selection Process and Application process for SSC CGL 2017 Exam. Read the whole article carefully before applying.